Alzheimer’s disease (AD) is the most frequent form of neurodegenerative disorder associated with dementia in the elderly. The expansion in the prevalence of this disease due to the increase in life expectancy is a worldwide socioeconomic challenge. As for other forms of dementia, there is no cure for AD and intense research is ongoing to determine pathophysiological mechanisms and to find targeted therapies. AD is influenced by both genetic and epigenetic risk factors. The strongest genetic risk factor is the presence of the epsilon4 allele of the apolipoprotein E gene, which encodes a protein that has a crucial role in cholesterol metabolism. However, the role of genetic factors is more confined to the early onset of disease, which constitutes a fraction of the AD burden observed in the elderly. Among epigenetic factors, oxidative stress, which results from high free radical flux unbalanced by the antioxidant system and leads to damage of biomolecules resulting in cellular insult, is a well-known pathophysiological player in neurodegenerative disorders. 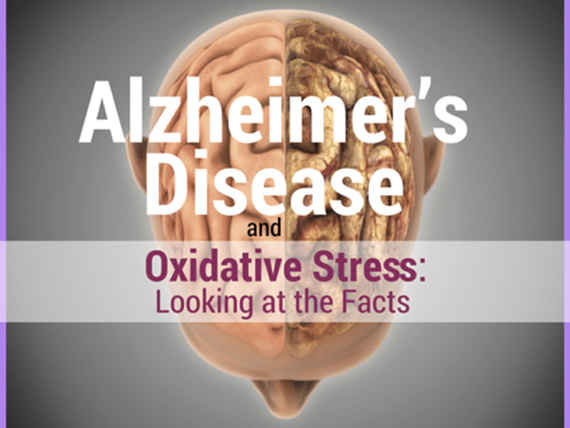 The link between oxidative stress and AD is solidly supported by basic and translational research and new aspects continues to emerge in the literature. As Guest Editor for this Special Issue of the journal OBM Geriatrics, it is my pleasure to invite you to submit a feature article, which may be either a review or a research paper, on the topic of Oxidative Stress and Alzheimer’s Disease.